I pray for every little thing. I say “thank you” to God for every small gift. I run to Him for every mundane wish. Diffidence or maturity? As I shift from one milestone of my life to the other, I wonder whether this very introspection itself is maturity! This self analysis! This eternal quest! This every day every hour every minute question “Have I faced the situation or taken the decision with maturity?” And if this is how we gain maturity, then it is not to be attained one fine morning. The process is ongoing. Rather everlasting!Till the last breath of one’s life!!! 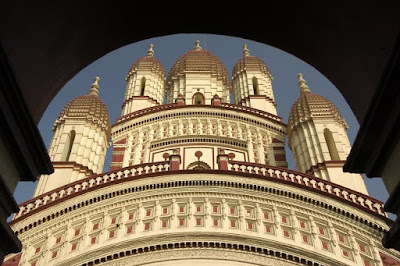 My residence in Kolkata was a twenty minute auto-ride to Dakshineshwar Temple. 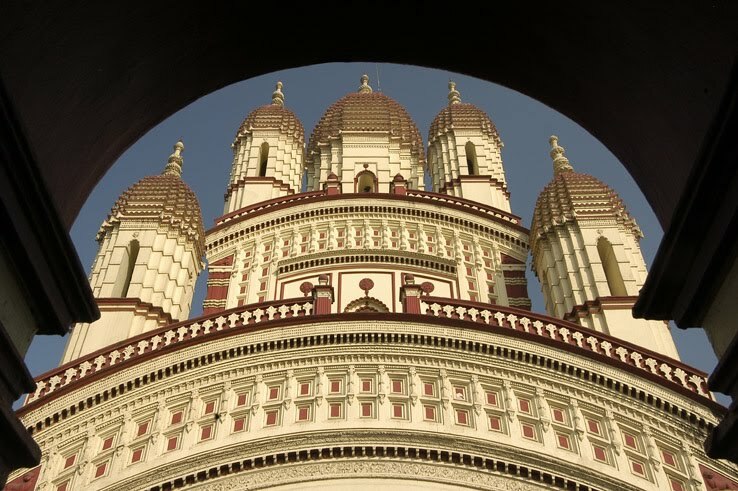 The Temple is dedicated to Goddess Kali. It is here that Thakur Ramakrishna Paramhansa worshiped Ma Kali as a child beguiles his mother. Being such a short distance away, we would frequently visit the Temple on Holidays and auspicious occasions. Often, while waiting in the queue for Darshan, I’d observe a bare-chested man in a soiled dhoti, loitering like a lunatic around the temple premise, shouting in a tearful voice “Maa will you not listen to your children? Will you not give a Darshan? What a stone hearted mother you are! Please give Darshan, Maa, please do!” A sun burnt, disheveled spectacle totally oblivious of time, reality, situation, surrounding! Such heartrending would be his plea that it would often bring tears to the eyes of the gathered crowd. Sometimes he would cajole the deity; at others he would be angry and restless. Nobody mocked or laughed at his soul stirring petition. Rather the devotees had the same query in their heart of heart which found voice in the old man’s uninhibited cries and submissions. I was told that he was a learned man who had taken to the path of renunciation. Months later, I found him in a more tranquil state. He would just sit in a hypnotic stance outside the erstwhile bedroom of the Paramhansa. At times, I would find one of his disciples reading out stanzas from holy books to him; some other time, somebody would be helping him to eat a frugal meal, like a nurse spoon feeding a child. While the immobile man would just be staring with vacant eyes at a point far beyond human vision! My aunt would prostrate before him in reverence whispering me to follow her. On enquiry, she told me that there were various stages of spiritual upliftment. The earlier madness for experiencing the Divine has now transcended to an elevated level of sainthood; the devout has now become the apostle of God! The thirst for maturity is insatiable. The quest goes on till we come to that point in life when we realize as humans how weak and incapable we are. Just a cog in the infinite gamut of the Universe! A miniscule dot in the cosmos! It is then that we bow down to the Eternal. The ultimate surrender! Or the penultimate maturity! It is difficult to draw a line to this discourse or put a full stop at random. I have yet to find a point in life where I can conceitedly claim that I have matured completely and there is nothing more to be gained or learnt. This is a subject of interminable discussion and unstoppable delving. Hence, the lengthy three part post. Though some may simply define maturity as intelligence gained on hindsight, alternately, one can go on fathoming the deeper and subtler nuances of the concept. I have opted for the latter and in doing so relied heavily on mundane, personal experiences and anecdotes which many may or may not subscribe to. But I strongly feel all human experiences are more or less threaded by common emotions and feelings, and hope my friends, who happen to read this post, will empathize with what I have tried to arrive at, if not unanimously agree, which is difficult to attain on complex themes like this.